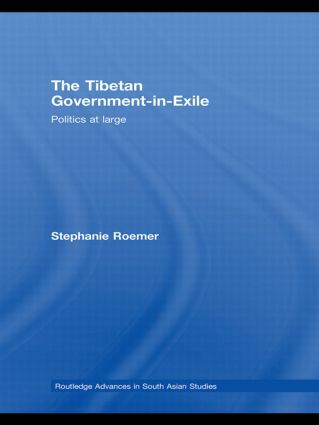 This book provides a detailed account of the structure and political strategies of the Tibetan government-in exile, the Central Tibetan Administration (CTA), in northern India. Since its founding in 1959, it has been led by the 14th Dalai Lama who struggles to regain the Tibetan homeland. Based on a theoretical approach on exile organizations – and extensive empirical studies in Asia – this book discusses CTA’s political strategies to gain national loyalty, and international support, in order to secure its own organizational survival and the ultimate goal: the return to Tibet. an analysis of crucial CTA policies. Innovative and unique, this book combines a political science approach with Tibetan studies to analyse exile-Tibetan politics in particular, and exile governments in general.